1) My baby boy has decided to enlist in the Army. In fact, he DID enlist. He has to graduate high school first, so I am doing my best to sabotage that... ;) Actually I think he will be amazing and really excel in the military. He'll learn discipline and responsibility and I think his self-confidence will grow. And he'll learn how to do his own laundry and stuff. But I don't like the idea of people yelling at him and bossing him around... and possibly shooting at him. I'm already freakin' married to a cop. I must be a glutton for punishment... I did have to go tell some guys in camo at the recruiting center "w'sup" because I felt like they were rushing things for no reason. I think I scared them. Shoo- I'll show you "Army Strong." Psh. 2) I graduated!! What what! I now have a BS in Family Studies. And once I send in my paperwork I will be a provisional Certified Family Life Educator (CFLE). It was just such a great feeling to finally FINISH WHAT I STARTED back in '82... or '95.... 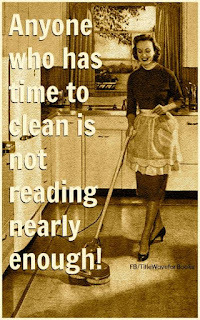 But who's counting? Isabel actually told me, "Mom, you're like 30-something. You should have already graduated..." -__- Gee, I wonder what I've been doing all.these.years...??? I also got to graduate the same weekend as my sister-in-law! She finished the Dental Hygiene program at TWU. Now we're both TWU Alumni. 3) I had probably the best weekend- not in Hawaii- ever. - We had a graduation party on Friday evening after Lissette's graduation and the night before mine. My brother, Walker, and Sei planned it all including the great BBQ food. 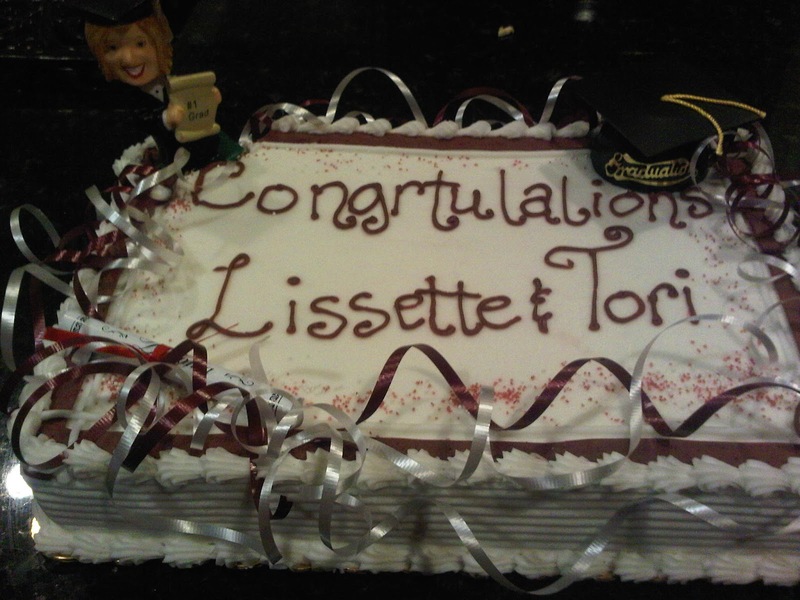 Lissette's parents bought the cake and my sister, Tara, supplied the grad bobblehead cake topper. Seiuli also surprised me with a bike! 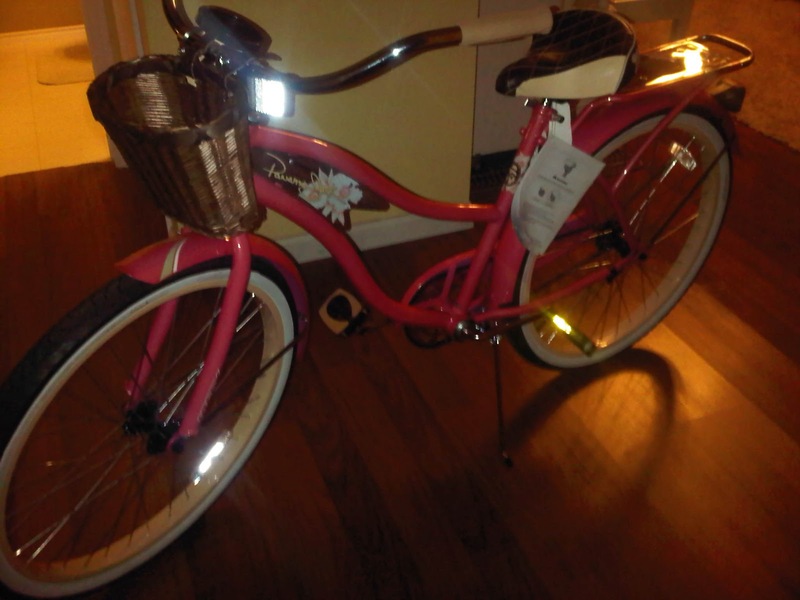 I've been wanting one since riding in Hawaii thru Turtle Bay. He outdid himself- it's perfect. I graduated on my birthday!! And my sister surprised me by coming from Kansas!! And I got to hang with her all weekend! And then to top it all off... My husband wrote me a song... I listen to it over and over and over again. Oh my word- I love this man. I wish everyone could be as blessed as I am.